iOTH’s Pro Hair Growth NSX stands out as one of the most efficacious hair loss remedies available in the marketplace to date. Besides the fact that it comes from house of one of the most trusted nutritional supplements brands – OTH Health – the product in itself is extremely effective when it comes to treatment of hair problems like hair loss, thinning of hair, etc. The Pro Hair Growth NSX is a unique, powerful and highly effective hair formula, especially developed for men to provide intensive nourishment for hair while helping prevent receding hairlines. The product is power-packed with saw palmetto extract, biotin, vitamin B6, selenium, beta-sitosterol and other components, all of which make it a perfect hair health stimulant that promotes healthy scalp, regenerates hair and revitalizes follicles along with supporting proper follicular function. The ingredients work synergistically to nourish hair, reduce hair thinning and improve hair density by stimulating new growth. The Pro Hair Growth NSX contains two of the nature’s most effective DHT blockers – saw palmetto and beta-sitosterol. DHT is an androgen hormone that is naturally produced by the male body and is believed to be one of the elementary causes of male-pattern baldness. 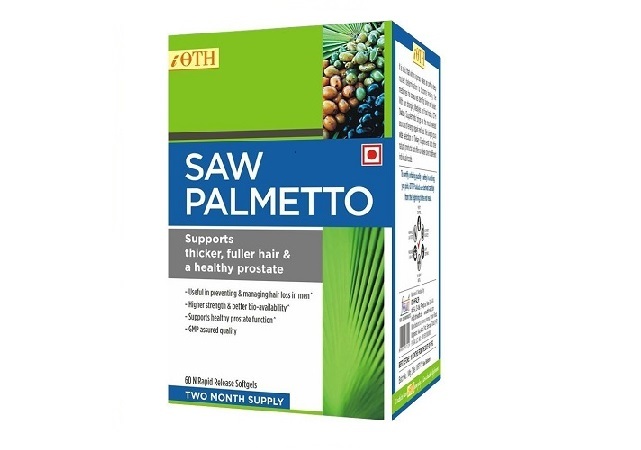 The combination of saw palmetto and beta-sitosterol is highly effective in inhibiting the production of DHT in males, thereby stopping hair loss and related issues efficaciously. 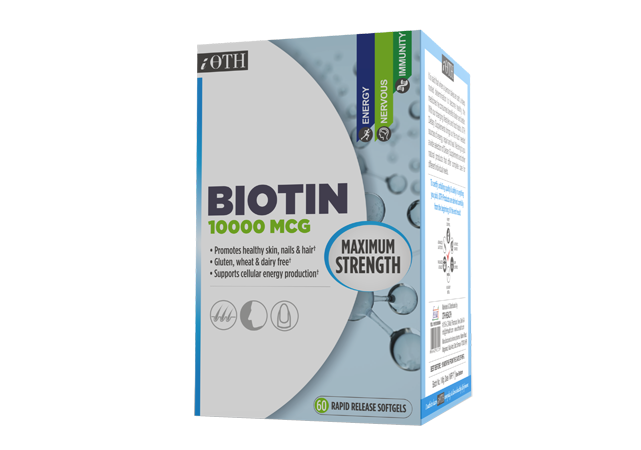 While saw palmetto and beta-sitosterol help inhibiting DHT, biotin helps strengthen hair follicles, thereby preventing hair breakage and loss. 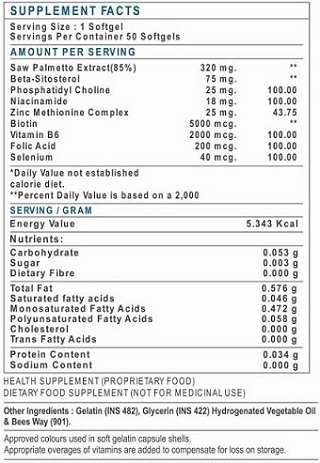 Other ingredients like selenium, vitamin B6, zinc, etc. combine to provide the much-needed nourishment to ensure optimal hair health. According to The Huntington College of Health Sciences, selenium deficiency may inhibit hair growth, resulting in an overall thinning of tresses. Furthermore, diet with insufficient amounts of zinc may lead to a compromised immune system, thereby resulting in hair loss. Therefore, both these minerals are essential for the health and growth of hair. Hair-related problems can strike at any age. Right from receding hair lines to thick patches of hair loss, frequent hair fall, male-pattern baldness or complete baldness, men of all ages have to feel the embarrassment related to it at some or the other point in their life. 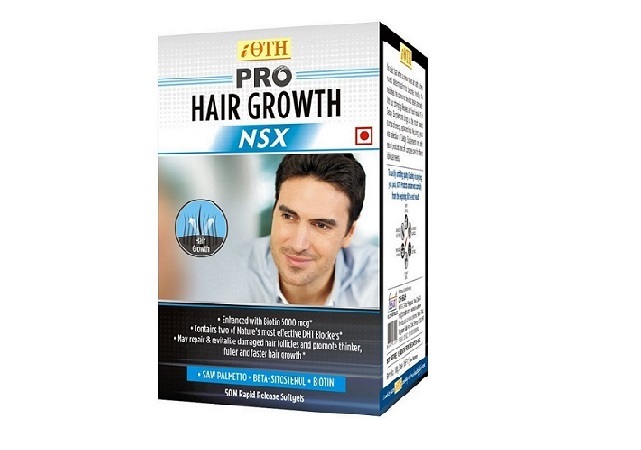 Pro Hair Growth NSX is perfect for men of any and every age. Whether you are suffering from a mild hair loss or heading towards male-pattern baldness slowly and steadily, this product is for you. YOUNGER MEN: Though hair loss is generally progressive after the age of 50, most men experience hair-related issues quite earlier in their life. Pro Hair Growth NSX can help! If you are starting to see (and getting worried) about continuous, unstoppable hair loss, it is high time to address the issues. You can take control of things before it’s too late. This product is also perfect for the ones who have been through a lot and all. Whether you are completely bald or have that crescent moon on your head (male-pattern baldness), this formula can help. Regular, continuous prescribed use of Pro Hair Growth NSX is well known to show results within a period of 6 months. The active ingredients of this product inhibit the growth of DHT and promote healthy hair growth. Pro Hair Growth NSX is all natural, i.e., it is made from all natural ingredients. Saw palmetto, beta-sitosterol, biotin, vitamin B6, selenium and zinc are all natural and do not have any side effects when taken in prescribed quantities. Pro Hair Growth NSX has perfect balance of ingredients with no side effects even if taken for longer periods of time. DOES PRO HAIR GROWTH NSX REALLY HELP WITH HAIR LOSS? Pro Hair Growth NSX is a potent formula made from highly effective ingredients all capable of helping hair growth and improving hair health. 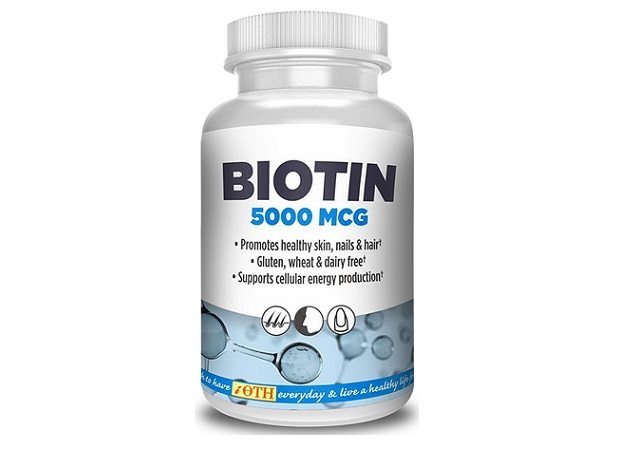 The combination of saw palmetto, beta-sitosterol, and biotin is one of the most powerful and highly potent combinations that can address hair issues effectively without any side effects. HOW SAFE IS PRO HAIR GROWTH NSX? ARE THERE ANY SIDE EFFECTS? The ingredients of Pro Hair Growth NSX are all natural and do not have any known side effects. In fact, when combined, these ingredients help improve the overall immunity of the individual along with improvement in health of hair, skin, and nails. FOR HOW LONG I SHOULD CONSUME THIS PRODUCT? 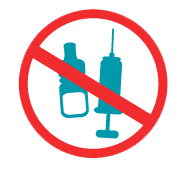 It is suggested you consume the prescribed dosage for at least 4-6 months on a regular basis. It is only after that you’ll be able to realize actual benefits of the product. You can continue to consume it for longer durations if deem it beneficial. Though the ingredients are all natural and are not believed to interfere with any other medicine(s), it is highly suggested you consult your physician or healthcare professional before proceeding to consume this product. HOW MUCH PRO HAIR GROWTH NSX SHOULD I CONSUME? WHAT’S THE SUGGESTED DOSAGE? However, the product is all natural; it shouldn’t be consumed in quantities greater than prescribed. The prescribed dosage of Pro Hair Growth NSX is 1 softgel per day. One can, however, keep taking it on regular and continuous basis to ensure quicker and better results. The Most Potent Formulation Available. Each Extra Strength Softgel Contains Pure Saw Palmetto Extract Standardized To 95% Fatty Acids.